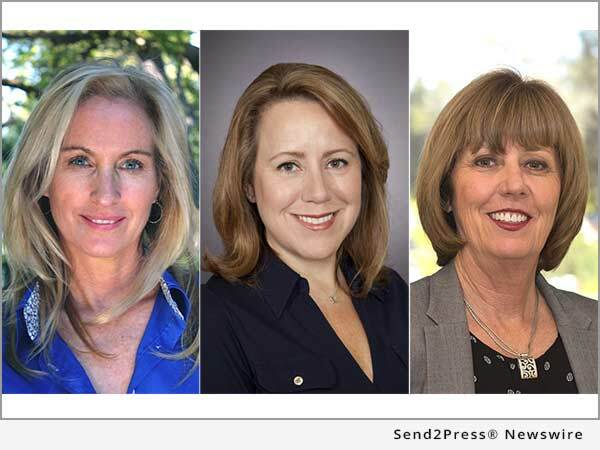 SAN FRANCISCO, Calif. /California Newswire/ — EPIC Insurance Brokers and Consultants, a retail property, casualty insurance brokerage and employee benefits consultant, announced today that Managing Principal Dana Liedel, Senior Vice President Suzanne McGarey and Senior Vice President Lydia Rivera have been included in Employee Benefit Adviser’s list of the 25 Most Influential Women in Benefit Advising. Employee Benefit Adviser’s 2016 Most Influential Women in Benefit Advising highlights national benefits consulting leaders who stood out among a highly qualified field of dozens of nominees from CEOs, to Vice Presidents, to hard-working associates and IT specialists. Dana Liedel, managing principal, strategy and business development, was a primary contributor to the strategy and structure of the specialty/consulting sector of EPIC’s employee benefits practice, known as the EPIC Employer Services Platform. Liedel has helped grow the practice from $12 million to more than $80 million, leading its overall strategic direction and implementing next-level advisory services. Suzanne McGarey, senior vice president of Ascende – an EPIC Company, has helped to lead Ascende’s health and welfare team for more than a decade, working to differentiate the company through initiatives such as benchmarking surveys and other business intelligence initiatives as well as compliance advisory services. EPIC’s Senior Vice President of Employee Benefits, Lydia Rivera, has been a top 10 producer every year since entering a sales role and she continues to maintain a $2.2 million revenue book of business. Rivera has mentored, coached and developed new female sales team members across her career and she actively monitors their progress to ensure their success. One of the largest independent employee benefits only consulting firms in the country, Houston-based Ascende specializes in health and welfare consulting, benefit plan administration, retirement and investment advisory, wellness, communications, global benefit solutions, mergers and acquisitions consulting and human resources consulting services. Ascende also offers services unique to the employee benefits industry through the Ascendent(R) Pharmacy Coalition, a purchasing cooperative that reduces pharmaceutical costs to employers. *Photo Caption: (L-R) Dana Liedel, Suzanne McGarey and Lydia Rivera.